Time Flies! In a year of hyperbole, that may be the biggest understatement! 2017 produced three major surprises. First and foremost, of course was the performance of the overall stock market. My “Fearless Forecast” – a tongue in cheek exercise our founder Jack Nelson started decades ago on the Sunday radio program “Dollars & Sense” that I continue to host – was not nearly this optimistic with my DOW prediction for 2017 at a mere 23,000! Needless to say, our consistent investment approach that utilizes predominantly large blue-chip companies generated us all very good investment results this year. Second, there was very little volatility in achieving this performance. In fact, 2017 is on track to be the first year ever in which the S&P 500 will have a perfect record of no negative months. Third, there was a significant Christmas gift to all in the form of large tax cuts. Regardless of what you may have heard in the media, this tax cut unequivocally puts more money in your pocket. To be determined, of course, is its effect on the deficit and future generations. I am glad we all don’t run our personal finances the way the federal government operates! I have no doubt that 2018 will have its share of surprises as well. There are always headlines – new and old – that will be dissected thoroughly and whenever possible stoked to create maximum fear. I suspect 2018 will have more short-term headline driven market volatility than 2017 – it can’t help but not given the perfect record of 2017! The obvious volatile example is North Korea which continues to smolder. The less than obvious example is the task in front of the Federal Reserve as they try to increase interest rates while monitoring the proper growth level for an economy that shifted into a higher gear in 2017. Their task, along with many other central banks, of continuing to unwind the post-2008 financial response is a daunting one at best. However, we believe that the economic trends that started to accelerate in the second half of 2017 will carry over to 2018. 2018 would be hard-pressed to match the performance of 2017, but the year should be a decent one for investors as consumers start to spend more, corporate profits continue to increase, and the immediate effects of the tax cut spur further economic activity. Be sure to listen to my radio show “Dollars and Sense” this coming Sunday at 9AM on 540 AM/102.5 FM for my official “Fearless Forecast” for 2018. If you miss the show on Sunday, it will be posted to Facebook, Twitter, Linked In and our website www.NelsonFinancialPlanning.com. The start of a new year begins anew our series of regular client meetings at the Country Club of Orlando located at 1601 Country Club Drive in Orlando. Our February 6, 2018 dinner meeting at 5:30PM features a return of Joe Valencia from American Funds. This should be an informative way to start the year off as Joe will be providing a 2018 Outlook. Bill Cass of Putnam Investments returns for our March 20, 2018 dinner meeting at 5:30PM. This will be a timely discussion as well featuring both a current tax and economic analysis. Please be sure to RSVP to these events either by email or contacting the office at 407-629-6477 to reserve your space. Feel free to invite your friends to these meetings as well! The start of a new year also means that tax season is around the corner. The recent tax cut only affects 2018 returns and beyond so your upcoming returns should follow the same pattern of the prior year return. In our usual mid-January letter, we will include a special Top 10 Tax Changes for 2018 to help you begin to prepare for these sweeping tax changes. Enjoy the New Year’s Holiday and I look forward to seeing you in 2018! There are many things we are thankful for this year – paramount among them is the nice returns to date in 2017! The year has been surprising not only in the magnitude of the market increase but in the absence of volatility so far. The amount of the increase is partially making up for the absence of significant market improvement in 2015 and 2016. Of course, the greater contributing factor to this increase is the global economic upswing occurring across nearly all of the world’s major economies. This upswing has led to improved corporate profits particularly in large multi-national companies that are predominant in the funds you own. In fact, these types of companies have experienced two consecutive quarters of double digit profit growth. Meanwhile, this market increase has been extraordinarily smooth. However, some level of short-term volatility (the type that produces declines of 5-10%) is normal and to be expected simply by being an owner of large blue chip companies. This short-term volatility is normally headline driven and occurs over a span of weeks. Longer term volatility (the type that produces declines of 20-25%) is directly connected to a downturn in economic activity which is clearly not where the current economic trends are pointing. These trends from employment and manufacturing data to business and consumer confidence remain quite positive. The global economy is certainly improving but still not in top gear. Consequently, we remain optimistic about market returns in 2018 but with a healthy perspective on the realities of short-term headline driven volatility. The ending of a year means that tax season and our 2018 client events will be upon us shortly. Time will tell what tax changes will occur for 2018 and beyond. The dueling House and Senate tax proposals don’t provide a clear direction at this point. For the current year, there are no major tax changes so we would expect tax returns to be similar to prior years. The only exception would be that capital gain distributions are expected to be slightly larger than past years which would increase the tax implications on non-retirement accounts. Please mark your calendar for Tuesday, February 6, which will be our first client meeting of 2018. This will be a dinner event at the Country Club of Orlando and Joe Valencia from the American Funds will provide a 2018 Outlook. Look for more details on this event in our letter mailing in early January. The end of the year is always a good time for a review so if you have not been in to see us lately, please call the office to set up a conversation. We trust you all survived Hurricane Irma last week. The office was out of power for a day before resuming normal operations. It is so sad to see the pictures and hear the stories about the devastation in the Keys and the Caribbean. The forces of nature are powerful indeed! Meanwhile, the markets continue to shrug off any negative news and move higher. 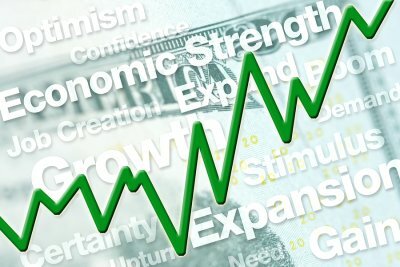 Your third quarter statements which you will get in a couple of weeks are on pace to show another 2-3% increase for the most recent three month period. For the year so far, domestic equity funds are up over 12% while international funds are up over 20%. There are some real economic fundamentals that are helping to drive this upward trend and provide the basis for our continued optimism. First, the major economies of the world are expanding in unison for the first time since the 2008 financial crisis. Second, inflation remains subdued keeping both the Federal Reserve and the European Central Bank on the sidelines to leave interest rates unchanged. Third, the U.S. economy is not over leveraged as there has been minimal credit growth over the past 10 years; and the U.S. financial system is better capitalized than it has been in years. Fourth, the stock market is not being driven upward by investor euphoria as $737 billion has been pulled out of equity strategies since the 2008 financial crisis. Our client meeting next week will focus on the overall economic picture and discuss the importance of the active investment management that happens in each fund you own with us. 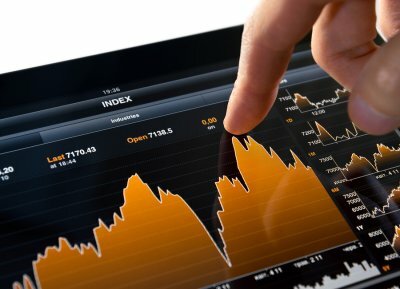 Our typical client portfolio consisting of 8-10 funds which hold about 1,200-1,500 different publicly traded companies. During the course of the year approximately 300-400 of those companies will be sold and other companies bought. This very active investment approach generates superior long-term results. Brad Rutan of MFS Investments will be our guest speaker at the event on Wednesday, September 27. As usual, the event starts at 5:30 at the Country Club of Orlando (1601 Country Club Drive, Orlando, FL) and features dinner and drinks. If you have not yet reserved your space at this meeting or would like to bring a friend, please call the office at 407-629-6477 or reply to this email. On another note, many of you have asked us how to respond to the widely reported data breach by Equifax, one of the three credit monitoring agencies. We discussed this topic this past Sunday on the radio show (“Dollars & Sense” Sundays 9-10 AM on 102.5 FM/540 AM) and you can listen to the show on Facebook via this link https://www.facebook.com/NelsonFinancialPlanning/posts/1944460429170427 . You can also refer to the information put out by the Federal Trade Commission at https://www.consumer.ftc.gov/blog/2017/09/equifax-data-breach-what-do . I followed the steps outlined by the FTC to find out that I may have been affected by the data breach at Equifax so I subscribed to the free credit monitoring service. Another option is to place a credit freeze or fraud alert on your credit. The fraud alert is not quite as cumbersome as the freeze when seeking credit in the future so I prefer the fraud alert unless there has been a specific incidence of identity theft. Protecting your information is of the utmost priority here at the office and we recently upgraded our firewall to the best available option on the market. We certainly live in a different and vastly electronic era these days! If you have not been in to see us lately, please call the office to arrange a review. Thank you as always for your continued confidence and the referral of your friends to us! Look forward to seeing you on the 27 th . As President Trump marks his 100 th day in office tomorrow, we thought it would be a good time to take stock of where the markets, economy and headlines are. 2017 is clearly off to a great start for the markets. So far, U.S. markets are up over 6% and non-U.S. markets are up over 8%. We believe that much of this movement is simply a catch up to the economic improvement in the second half of 2016. This better economic data had generally been underappreciated and underpriced by equity markets. The election, in and of itself, simply provided the resolution of some uncertainty that gave the markets an opportunity to focus on the better economic conditions at hand. Currently, we believe the markets are pricing in the expectation of additional economic growth. This expectation is predicated on a combination of diminished regulatory burdens on the private sector; lower personal and corporate tax rates; and fiscal stimulus in the form of infrastructure spending. Unfortunately, these pro-growth policies have been delayed by political wrangling. We are optimistic that these policies will take effect in the near term, but any further delays in implementation could splash some cold water on the markets. Despite this political uncertainty, the greater trend towards optimism cannot be ignored. Consumer and business confidence numbers are both at levels not seen for well over a decade. Of course, optimism can be fickle particularly if headline events like North Korea take a disastrous turn. Absent that type of event (which is always a risk in today’s world), we continue to expect that this optimism will lead to tangible effects like greater spending by households and greater hiring by corporations. Here at the office, another tax season has come and gone. 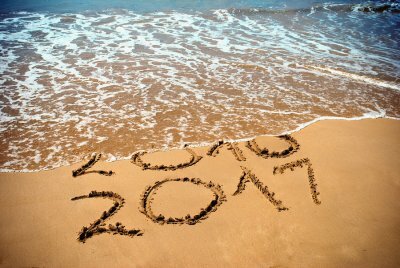 If we have not yet visited with you personally in 2017, now is a perfect time to come in to the office for a general conversation. 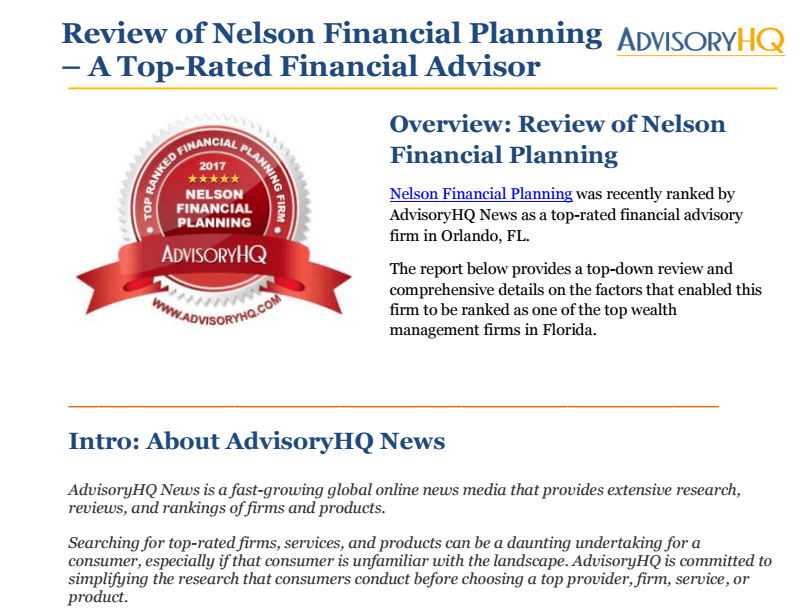 In other news, Nelson Financial Planning was recently ranked by AdvisoryHQ News as a top-rated financial advisory firm in Orlando, FL. We have attached their review to this email for your reference and to share with your friends. We are getting ready for our upcoming client appreciation event at Enzo’s on your choice of May 11 or May 16. We thank you for your timely response and selection of food and dates. We are very excited that the response to this event has been so strong. Both dates are currently on a wait list due to venue size restrictions so please let us know if your plans change. As always, for our latest thoughts, tune in to our weekly radio show “Dollars and Sense” at 9AM on Sunday at 540 AM/102.5 FM. The show is also available the following day on our website www.NelsonFinancialPlanning. 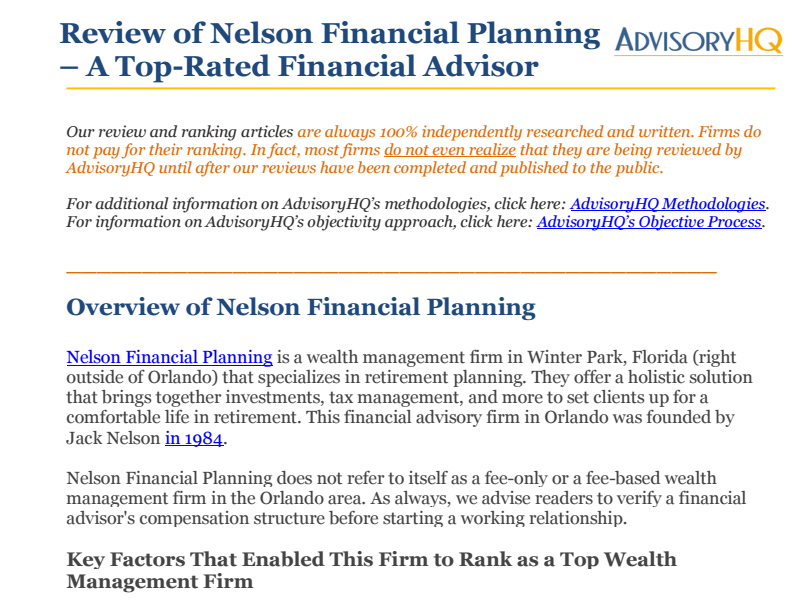 com or on Facebook or Twitter under Nelson Financial Planning and Linked In under Joel Garris. Look forward to seeing you on either May 11 or May 16! 21,000 on the DOW – what does it really mean? Clearly, it means positive things for the value of your accounts. Our investment allocations that typically include high levels of exposure to stocks are now fully participating in this rally. Our email at the first of the year expressed concern that the post-election rally in November and December was quite concentrated in a handful of companies in certain sectors where a Trump victory meant less regulation and more profitability. So far, in 2017, the rally has become much broader principally because the economic data continues to improve. Just last week, manufacturing activity in both China and the U.S. showed nice improvement. Meanwhile, sentiment among consumers and small business owners continues to hit levels not seen in many years. However, just as our counsel is to maintain perspective and not get too caught up in the constantly negative news cycle, we encourage the same behavior now. A 1,000 point increase on the DOW doesn’t mean as much as it used too. The simple math underscores that. When the DOW was at 10,000, a 1,000 point jump meant a 10% increase. Now, with the DOW at 20,000, a 1,000 point increase means a 5% improvement. This 1,000 point jump in just 24 days is not even record setting in market history – merely tying a record set in 2009. Clearly, there are reasons for cautious optimism ahead on the strength of consumer confidence and improvement in manufacturing activity. But in terms of percentage swings, this is nothing more than normal market behavior where on average swings of 5-10% occur about three times per year. We remain somewhat concerned about the continued inconsistencies of the Trump administration. In this global economy where corporate America makes nearly half of its profits (45% to be exact) from outside the U.S.A., a breakdown in international relations and trade could quickly undermine these results. All of this certainly sets the stage for our next client meeting on March 28. Our speaker will be Bill Cass from Putnam Investments. Bill returns to discuss the latest economic and market conditions and to provide a look ahead to the rest of 2017. Please join us on March 28 at 5:30 at the Country Club of Orlando, 1601 Country Club Drive, Orlando, FL. Please RSVP for you and your guests to this email or the office at 407-629-6477. Please stay tuned to our weekly radio show “Dollars and Sense” for our thoughts on the latest news. The speed of the news cycle these days is ever increasing and our live weekly show provides an opportunity to hear our take on the current headlines. 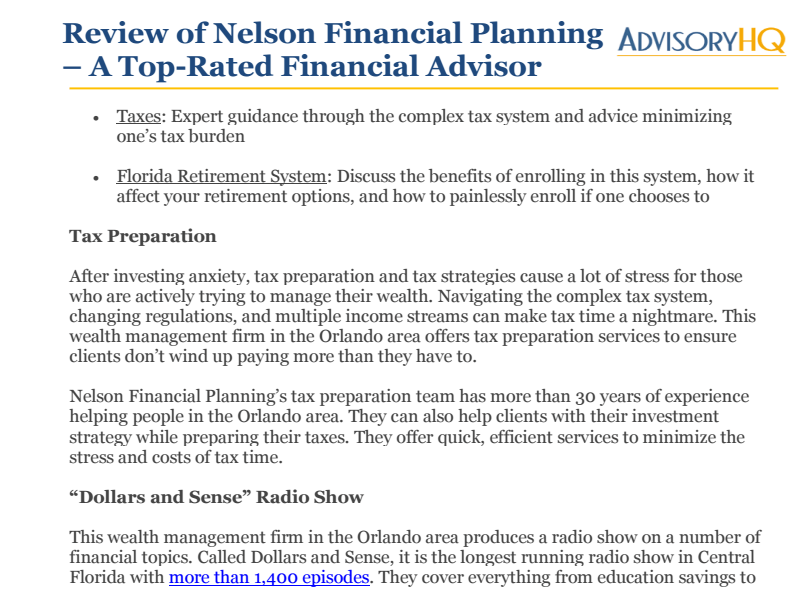 The show airs at 9AM on Sunday at 102.5 FM or 540 AM and is available the following day on our website www.NelsonFinancialPlanning.com or our social media outlets on Facebook, Twitter or Linked In. Around the office these days tax season is underway. While we expect many changes for 2017, 2016 returns are generally running quite similar to the prior year for most people. The only exception to this is that mutual fund capital gain distributions appear to be lower from the previous year so that is helping to reduce the tax burden for some. On a personal note, my oldest son Nelson recently achieved the rank of Eagle Scout. So very proud of him and his accomplishments. Hard to believe he turns 16 later this month and then I will be constantly looking for my car keys! Look forward to seeing you at the meeting on March 28! 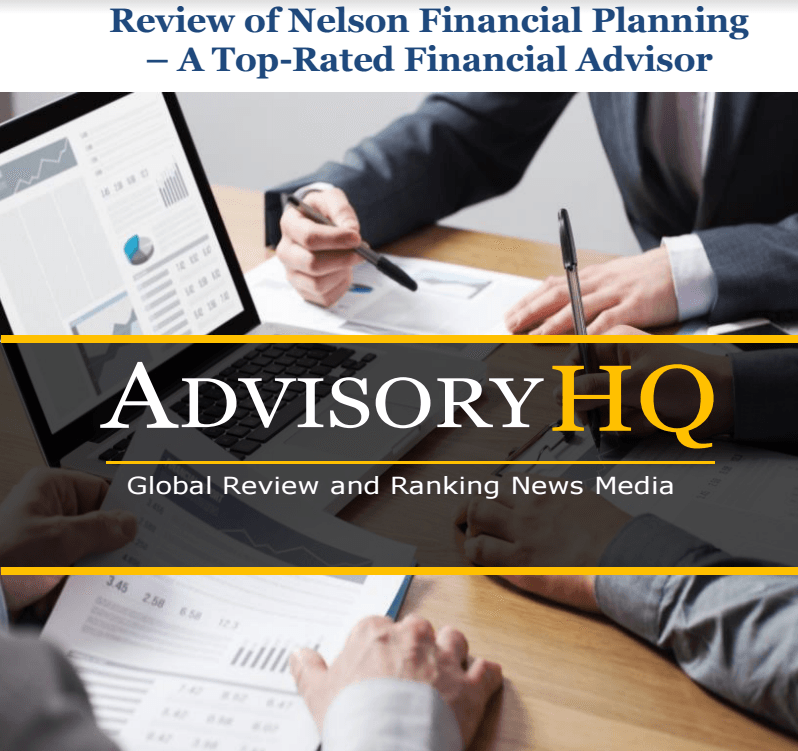 The entire contents of this series were personally written solely by Joel J. Garris, J.D., CERTIFIED FINANCIAL PLANNER™ and President and CEO of Nelson Financial Planning. Started in 1984 by Jack Nelson as Nelson Investment Planning Services, today we remain a fully independent and family owned and operated firm. We only recommend actively managed investments that we own personally. Our retirement income and investment approach is based on our over 30 years of experience with what really works overtime. Joel specializes in bringing all the various parts of an individual’s finances into focus. His areas of expertise include retirement income planning, cash flow planning, retirement planning, tax planning and estate planning. He recommends effective solutions for efficiently managing cash to meet all needs and develops plans to properly provide retirement income. In addition, Joel also provides successful strategies to reduce both income and estate taxes. Prior to joining Nelson Financial Planning, Joel was a securities law attorney at the law firm of Dickstein Shapiro LLP, a large multi-practiced firm with more than 400 attorneys in Washington, DC. He specialized in initial public offerings, mergers and acquisitions and debt financing for a wide array of corporate clients, including Fortune 500 companies. Prior to becoming an attorney, he worked as an engineer at Central Maine Power Company. Joel is a Certified Financial Planner™ and a member of the Massachusetts and Washington, DC bar. He holds various securities licenses including, Series 7 – General Securities Representative, Series 24 – General Securities Principal, Series 27/28 – Financial and Operations Principal and Series 51 – Municipal Fund Securities Principal. Joel is the Treasurer of the Delaney Park Neighborhood Association and serves as an Assistant Scoutmaster for Troop 24 chartered by First Presbyterian Church of Orlando. He has served as a youth sports coach on numerous occasions for Delaney Park Little League, Association of Christian Youth Sports, YMCA and Upward. He is also a member of various organizations, including Mensa, and has been a volunteer for Literacy Volunteers of America and the Veterans’ Administration. Solving Life’s Financial Matters” through Orange County Public Schools. Joel married Stephanie Nelson on February 13, 1999. Stephanie is the Executive Director of Grace Medical Home and previously served as the Executive Director of the Orlando Metro Area for the American Cancer Society. She is also a past President of the Junior League of Greater Orlando. They have three sons: Nelson, Ethan and Connor Garris who attend Boone High School and The Christ School in downtown Orlando. Where indicated, market data and performance represents past performance which is no guarantee of future results. Individual results may vary and values do fluctuate in any investment. This booklet contains our most current understanding of the Florida Retirement System and U.S. tax laws as of October, 2016. This booklet is intended to detail complicated retirement topics but is not a complete discussion as each individual’s situation is different and various exceptions exist. Nelson Financial Planning offers securities through Nelson Ivest Brokerage Services, Inc., a member of FINRA/SIPC. Please note that the information provided in this document has not been approved or endorsed by the State of Florida or the Florida Retirement System. 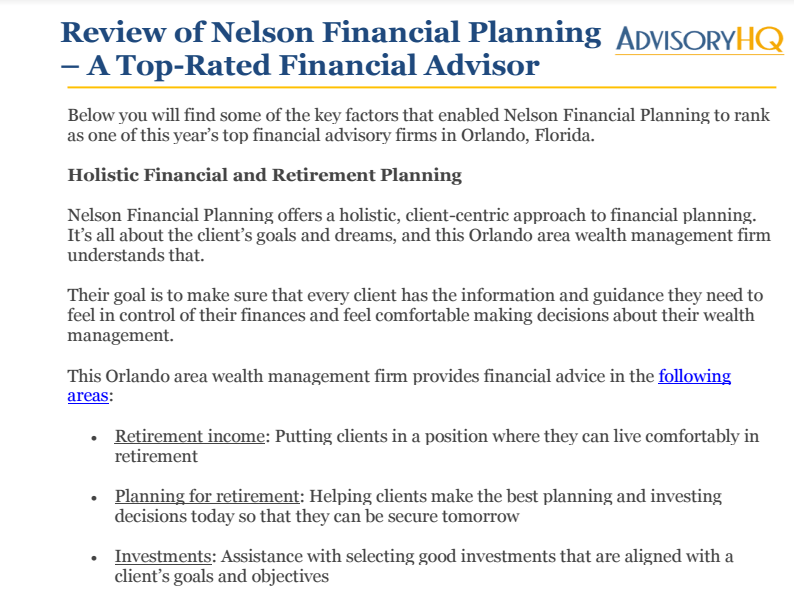 What Makes Nelson Financial Planning Different? 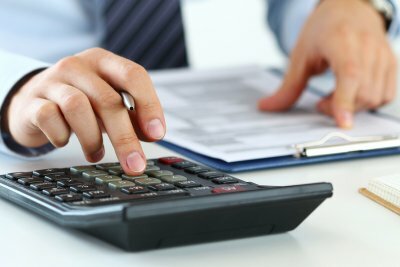 Expert Tax Advice You Can Actually Rely On. You hear a lot of conversations about saving for retirement but not much about planning your retirement income. The biggest reason for this is that most financial firms don’t or won’t give tax advice. Check out their websites. If the fine print says the firm you are using does not provide tax advice and you should consult your own tax advisor, how good is the tax advice you are getting? Our firm employs a full time IRS Enrolled Agent as a member of our financial planning team. We also have a tax preparation service for our retirees that includes a CPA and we stand behind our tax advice. Expertise and Unbiased Advice of a Certified Financial Planner TM . In the financial services industry, credentials matter. Being a Certified Financial Planner TM , means that the advisor has completed extensive training and experience requirements and is held to a rigorous ethical standard. According to the Certified Financial Planning Board, certificants “understand all the financial complexities of the changing financial climate and will make recommendations in your best interest”. If the firm you are using does not employ Certified Financial Planners TM , how “expert” and “unbiased” is their financial advice? Only Recommend Investments that We Own Personally. Our most important policy is that we only recommend to our clients investments that we personally own. In the financial industry, few firms can make that claim of their financial planners. Jack Nelson started that commitment when he began the firm in 1984. While Jack has since passed, this bedrock principle continues today. Don’t you want to be dealing with somebody that truly has a vested personal interest in how your investments perform? Central Florida’s longest running Radio Show – 31 Years and Counting! Many firms do radio shows for certain periods of time but ours is the longest running in Central Florida. We view the radio show more as an opportunity to speak to our followers every week with fresh ideas and perspectives on the most current events of the day. Our radio show “Dollars and Sense” is heard live every Sunday at 9AM on Newsradio 102.5 WFLA and is simulcast on 540AM as well. 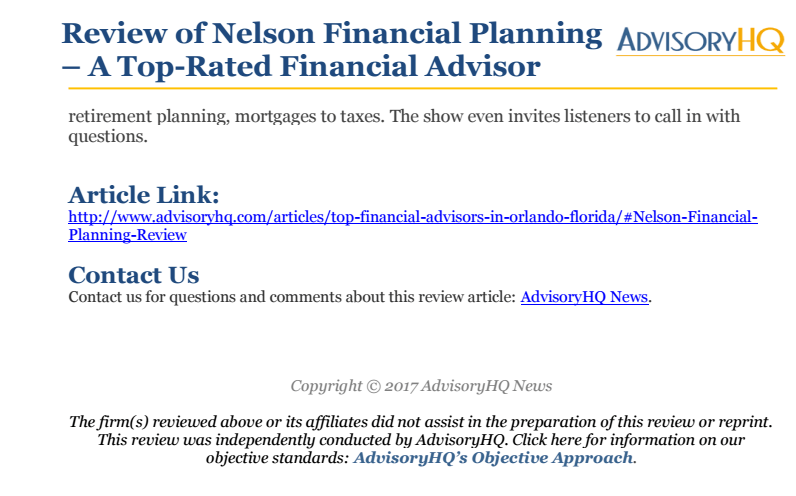 If you miss the show on Sunday, it is always available on any of our social media sites – Facebook, Twitter, Soundcloud, Google or Linked IN – or at www.NelsonFinancialPlanning.com. Unlike other shows that constantly tell you to call the office now, ours does not because its purpose is to educate, inform and hopefully entertain the listening audience. Planning your retirement income as a member of FRS is a very intricate process. Depending on your age, your years of service, your job, your FRS choices, and your deferred compensation account, the composition of your retirement income and your taxes will be different. We typically spend several hours with FRS retirees properly planning their retirement income. We encourage you to contact us to schedule your complementary, no obligation conversation about planning your retirement income. We want to warn you about three examples of FRS retirees receiving bad advice that limited their retirement options. 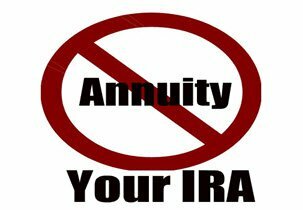 Second, the guarantees and promises that come with these “new” income approaches that use annuities are simply not as they are described. These guaranteed income streams and returns are filled with caveats, fine print and high costs. These promises don’t actually guarantee any real return on your money as they only apply to internal insurancecompany values. If FDIC guaranteed CDs are paying around 1%, insurance companies aren’t really paying you 5% or more. Bottom line, if it sounds too good to be true, it is. In addition, the State of Florida is now promoting the use of annuities in its Investment Plan correspondence to state employees. The state’s suggested annuity approach offers an irrevocable option that leaves nothing to your beneficiaries. If state employees prefer a guarantee, they should consider staying with the Pension Plan. amount or frequency without having to incur a 10% tax penalty for early withdrawal if you retire in the year you turn age 55. This is a very valuable option for those that qualify. If all the money is rolled out of the FRS Investment Plan and into an IRA, you lose the flexibility of this option. Bottom line, if you are retiring in the year you turn age 55, you have more flexibility by actually leaving some money behind in the FRS Investment Plan. Properly planning your retirement income is of the utmost importance. These are just some of the examples we have seen where if the retiree had followed the advice given, they would have effectively eliminated their flexibility in retirement or even worse been subject to an extra 10% tax penalty. 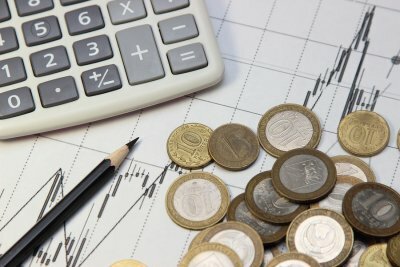 Simply rolling over your FRS Investment Plan, DROP or Deferred Compensation account to an IRA may not be the best course of action and could generate an extra 10% tax cost in retirement.